We take a look at ten of the top Premier League transfers over a record-breaking transfer window. Glentoran coach Paul Millar has told the players to show the new management team at the Oval they deserve to be part of what he believes will be a bright future for the club. If I told you that Mick McDermott channelled his inner Miley Cyrus in his first in-depth interview as Glentoran manager, well that could mean one of many things. Former Glentoran manager Paul Millar has made a shock return to The Oval to form part of new boss Mick McDermott's coaching ticket. Glentoran legend Billy McKeag believes the club can rise from the ashes after new manager Mick McDermott was handed the task of rebuilding the east Belfast giants. Glentoran remain on course for huge investment from a wealthy businessman after Mick McDermott was confirmed as the club's new manager last night. Glentoran have officially announced Mick McDermott as their new manager. Gary Smyth has revealed that he has been told by Glentoran that his last game as manager of the club will be against Cliftonville on Saturday. Glentoran boss Gary Smyth insists his erratic side can toss a spanner into Ballymena United's title challenge at the Warden Street Showgrounds tomorrow. Darren Murray has opened up about his controversial exits from Crusaders and Portadown last year and revealed his desire to help current club Glentoran become a force again. Gary Smyth feels that if Glentoran qualify for the European play-offs they can spring a surprise against those above them in the Irish Premiership. Darren Murray loves facing Warrenpoint Town. The Glentoran striker scored twice earlier this month at Milltown in a 5-0 victory and grabbed another double against his old club at The Oval last night. Glentoran boss Gary Smyth believes his team were victims of a Mersey Street mugging on Tuesday night. Glenavon manager Gary Hamilton inspired a comeback victory for his side at the Oval. Glentoran manager Gary Smyth loved his time at Glenavon but there will be no divided loyalties when the sides meet at the Oval tonight. 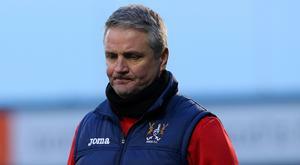 Warrenpoint Town boss Stephen McDonnell is demanding a big response from his team against Queen's University in the Irish Cup tonight after losing 5-0 at home to Glentoran in the Premiership at the weekend. Gary Smyth insists Glentoran will have 'egg on their face' if they don't approach tonight's re-arranged league fixture at Newry City in the right manner. Glentoran's Danske Bank Premiership game at Newry City on Friday has been called off following a pitch inspection. In the latest of our popular series, Ballymena United star Jonny Addis discusses his faith, his mixed emotions over Glentoran's Irish Cup win and his family's sad loss. 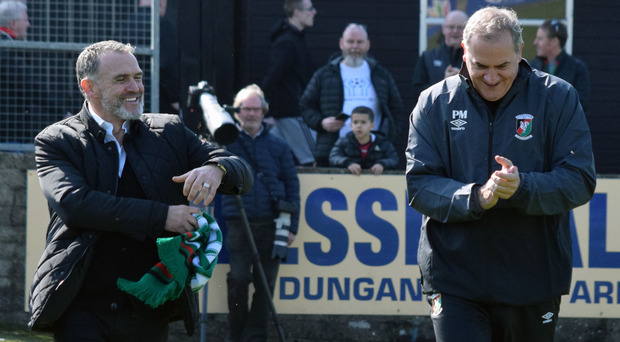 Glentoran's dramatically improved financial results could help catapult the club back among the big hitters of local football, according to club legends Jim Cleary and Mark Glendinning. Glentoran have insisted they are close to securing the club's long term financial future by wiping out debts totalling almost £1.7m. Linfield saw off a spirited comeback from Glentoran to solidify their place at the top of the Irish Premiership at Windsor Park on Monday night. Glentoran striker Curtis Allen says his side is fired up to derail Linfield's title assault. Glentoran boss Gary Smyth says his new centre-half will bring a 'wealth of experience' to the Oval. Versatile Robbie McDaid believes there are better days up ahead for Glentoran. Glentoran goalkeeper Elliott Morris says his goal against Institute was no fluke. Linfield are now three points clear at the top of the Danske Bank Premiership after Ballymena United's blip continued. Glentoran goalkeeper Elliott Morris got his name on the score-sheet for the first time ever on Saturday afternoon as the Glens won 2-0 at Institute. Curtis Allen has said he was saddened by Ronnie McFall's departure as Glentoran manager. 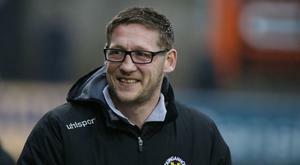 Gary Smyth faces a race against time to make his first Danske Bank Premiership match in charge of Glentoran. Glentoran and Crusaders have both been fined by the Irish FA for their part in a melee at the Oval last month. 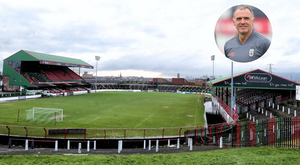 Glentoran's well-documented financial problems could be coming to an end after the club agreed to sell two pieces of land at The Oval for a combined sum of £1 million. Crusaders manager Stephen Baxter says he hopes Glentoran get the cash investment they need to challenge again for silverware. Glentoran begin life after Ronnie McFall away to Crusaders in the Irish Cup today and new boss Gary Smyth has already started shuffling his pack by bringing in Poland-born Lukaz Gwiazda. When the end came for Ronnie McFall at Glentoran second time around, it was swift. Gary Smyth made his first signing just hours after taking the reigns as Glentoran manager. Glentoran's assistant manager Kieran Harding says he is considering his position after Ronnie McFall's resignation. Glentoran have thanked Ronnie McFall for his distinguished service to the club as a player and manager, insisting that his legendary status in east Belfast is assured.